Here are some of my favorites.! Lets start with my watch. This is a simple Sekonda watch that I treated myself to this summer. I always liked big watches and when I saw this I just had to have it! It instantly stands out with its white colour and I love love love the orange detail.! This is without doubt on my wrist every single day. Fun fact about me - I'm totally obsessed with the Kardashians...their style is just to die for.!! 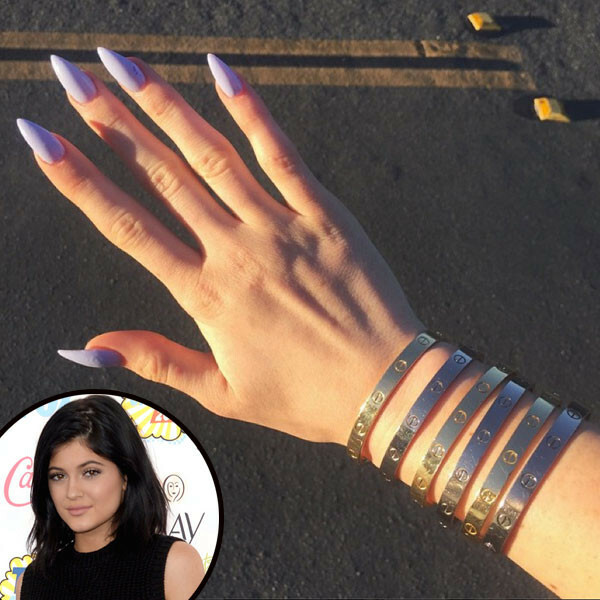 So obviously it was Kylie Jenner who directed my attention to the Cartier LOVE bracelets (you know those ones that are screwed around your wrist?). But if your like me and you don't have a Kardashian bank account turn your attention to Penneys (or Primark depending on where you live). You can now get that designer look without the designer price tag. I have the silver bangles but from scrolling through Penneys Instagram I'm now on the hunt for them in gold too. ...And to the future man in my life take note I want the real thing.! Whats in your jewellery box? Buy Fashion Jewellery online in Malaysia & Singapore I do believe this really is an informative article in fact it is very helpful and also proficient. as a result, I would really like for you to many thanks for your attempts you earn in writing that carefully thread. I love the white Sekonda watch! It's so stylish and it looks great on the pictures. I totally agree with using shops like Primark to source jewellery. I got some very similar bracelets and they look stunning. I haven't seen the Mi Moneda necklaces before. Going to look them up. Hankering for one for myself now! Thanks!